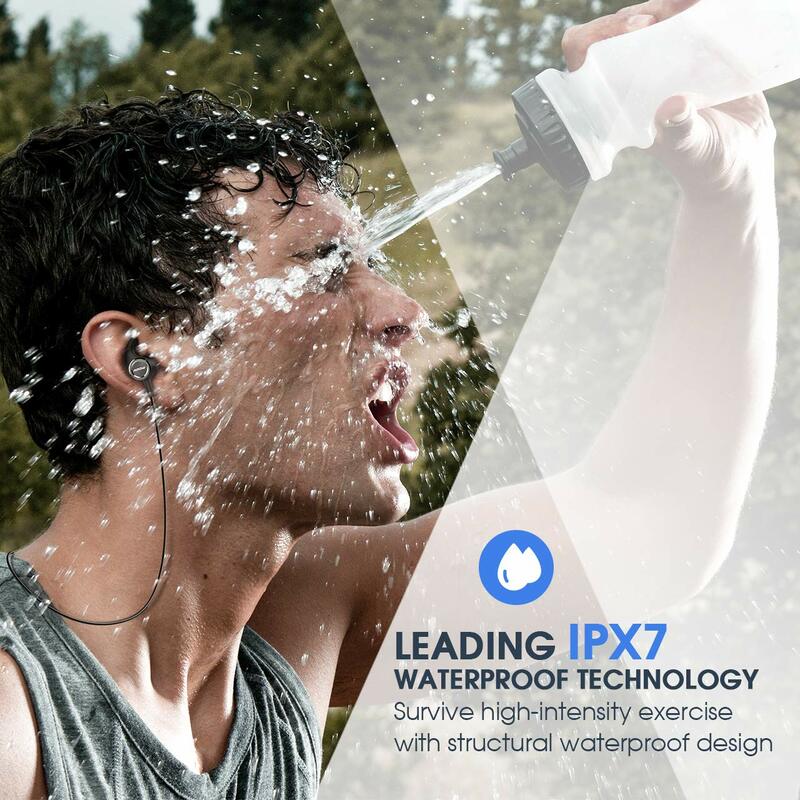 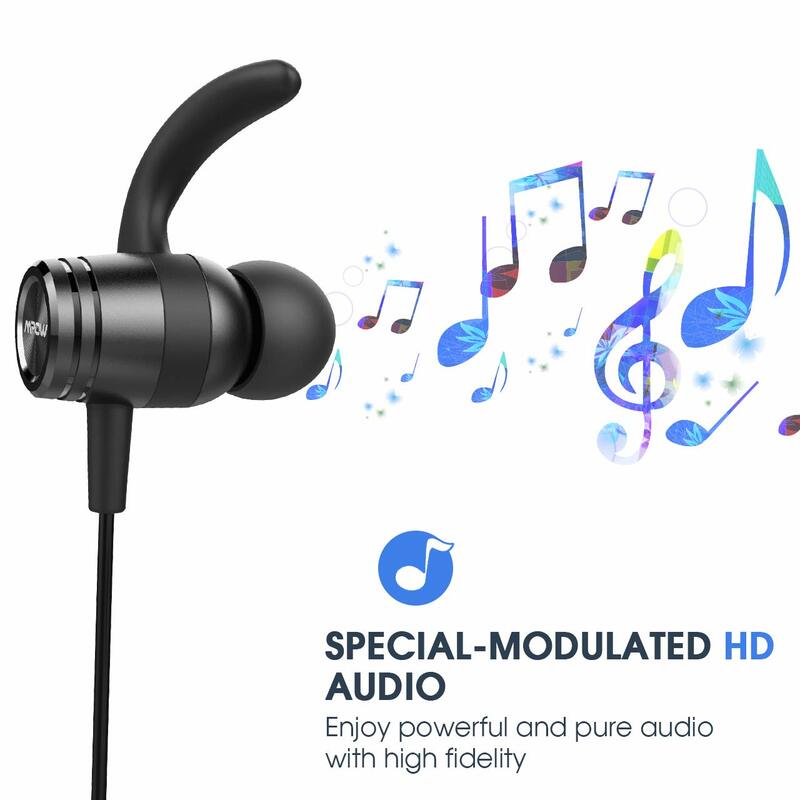 IPX7 WATERPROOF TECNOLOGY: The Mpow S10 IPX7 sport headphones can wisk away sweat and moisture if you do long distance running and intense training. 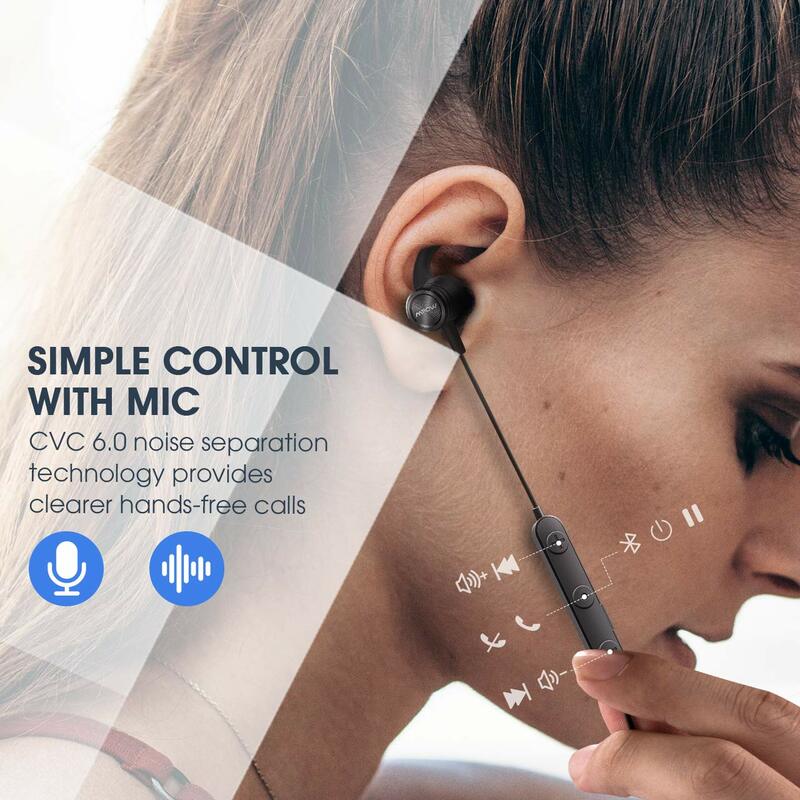 Let Mpow wireless running earphones power your next workout. 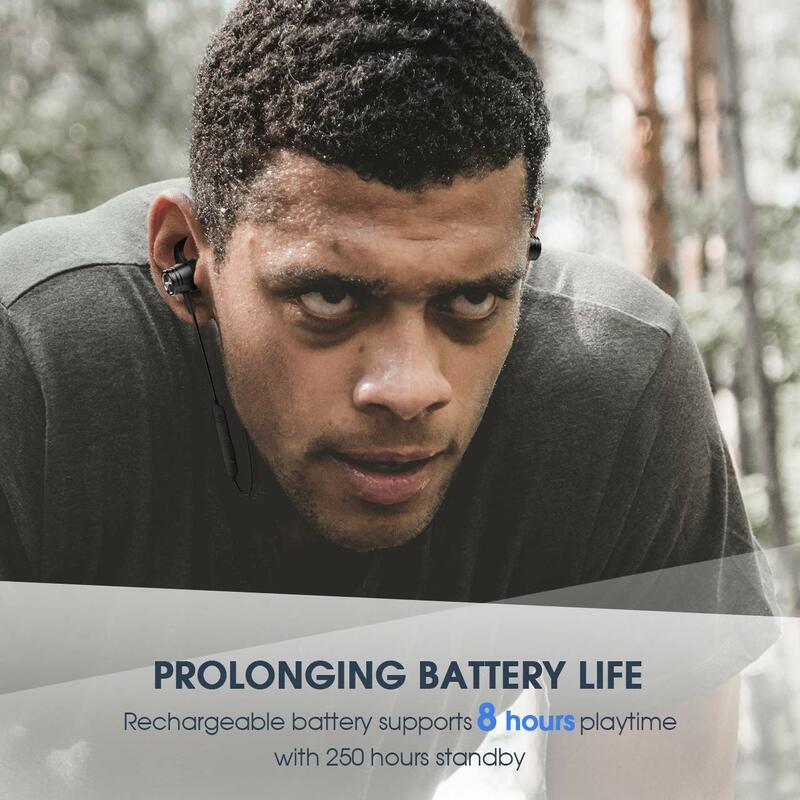 8H BATTERY LIFE BOOST YOUR PERFORMANCE: Off a single charge, the earbuds play for up to 8 hours-long enough to work out when you are. 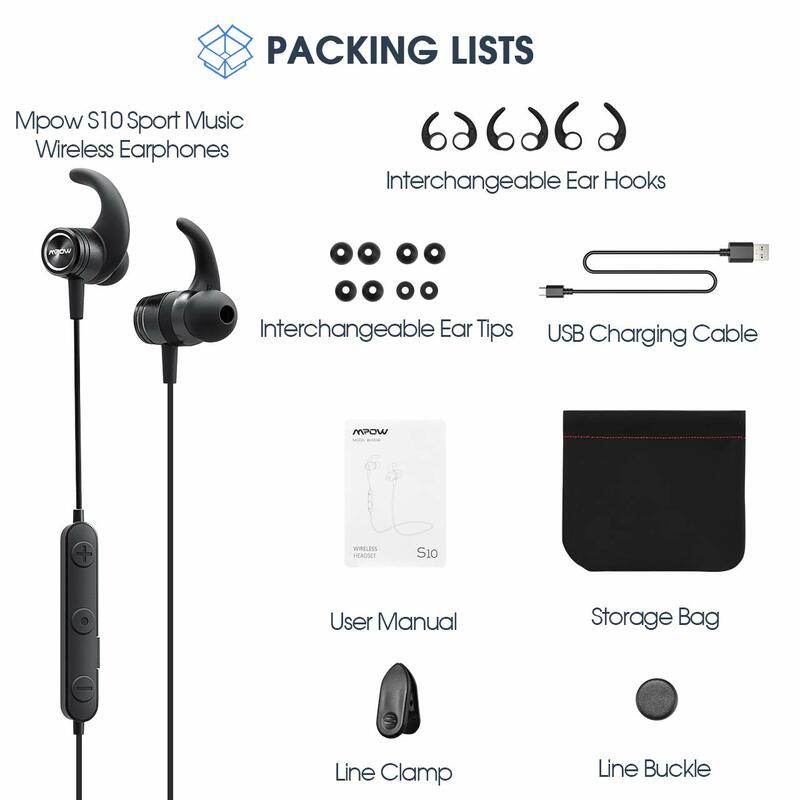 The Mpow wireless earbuds can be charged via supplied USB cable. 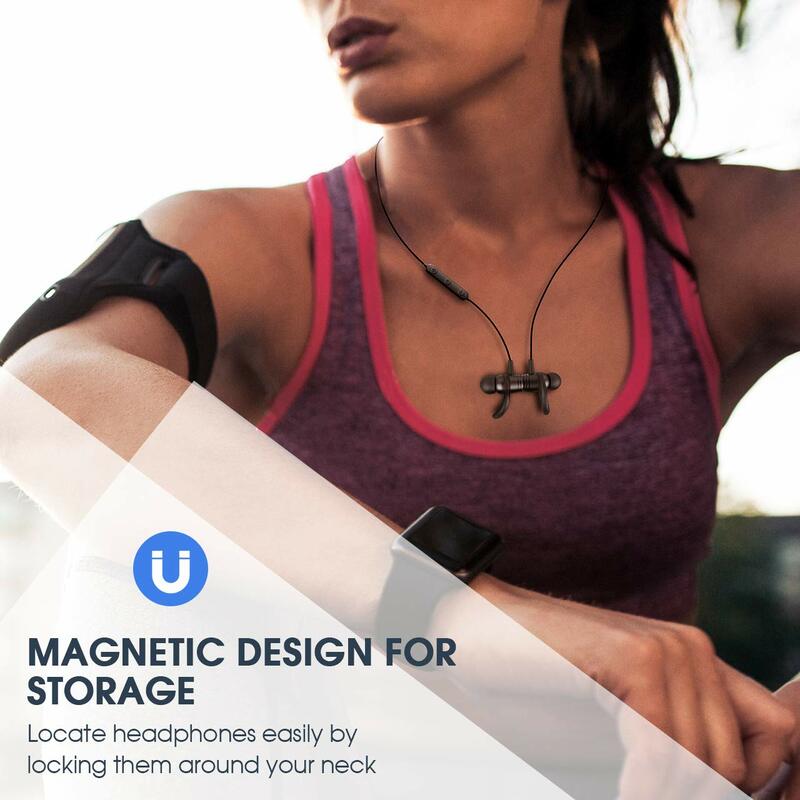 STAY PUT & MAGNETIC DESIGN: Three sizes of ergonomically designed ear wings keep the earphones in place while three sizes of ear tips create a customized fit. 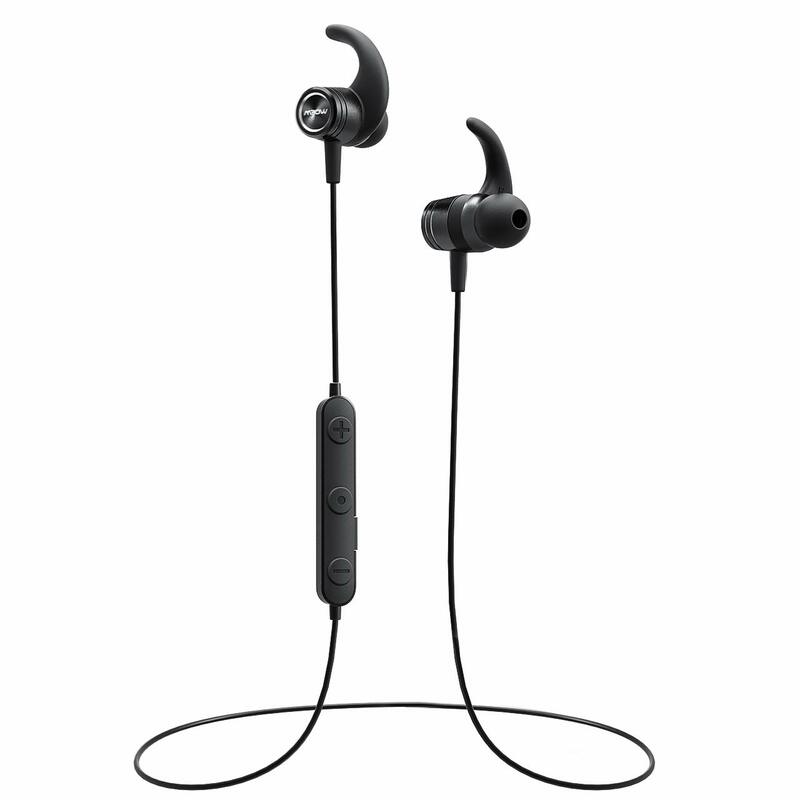 The running headphones with magnetic design makes it convenient to carry around when not in use. 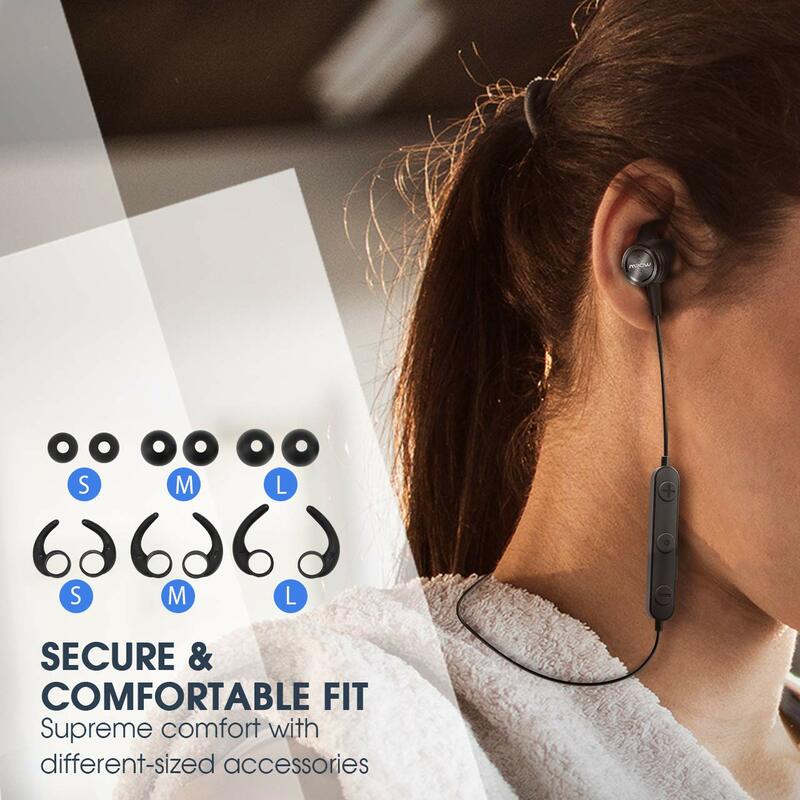 Note: Line buckle and line clip help you to find a more secure and comfortable wearing style.